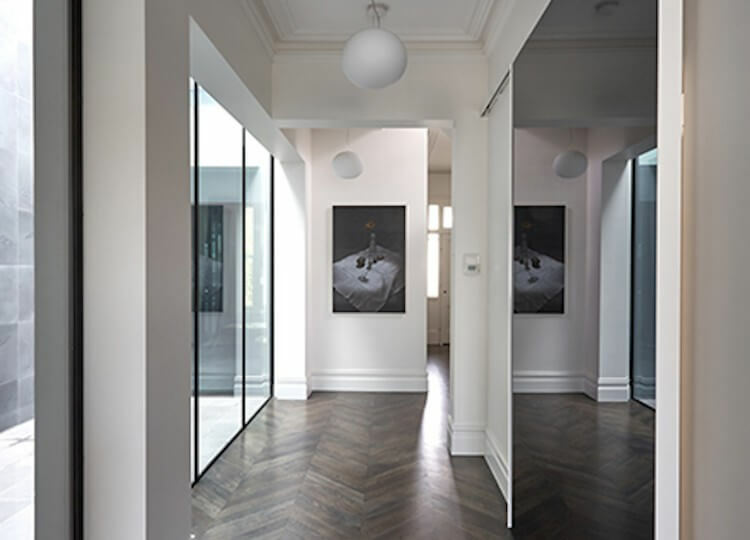 Working from home is but a dream for many a frustrated commuter in cities all over the world. 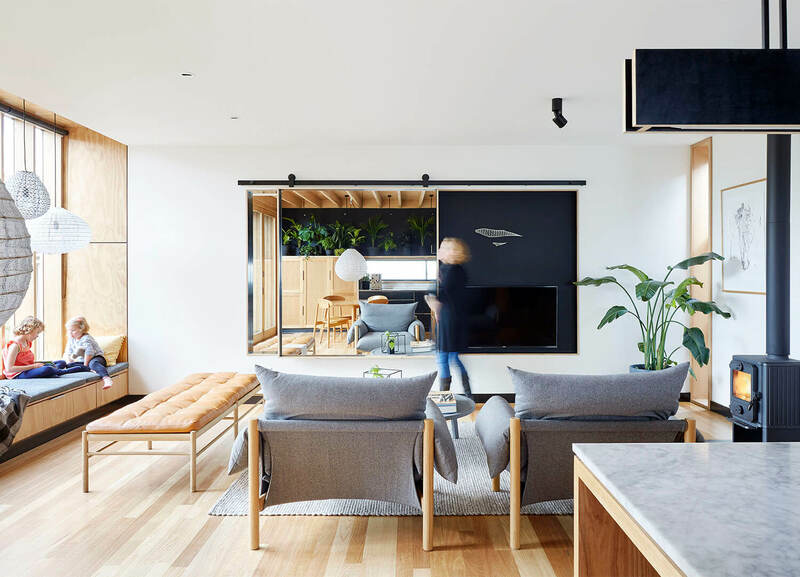 For architects Mick and Jules Moloney, combining this with a dream for a tree change and a plan to start their own practice was a no brainer when it came to designing their home and office in order to create a work life balance for their young family. 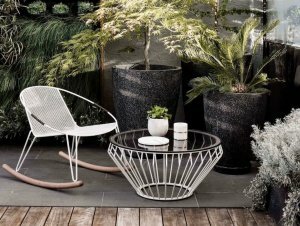 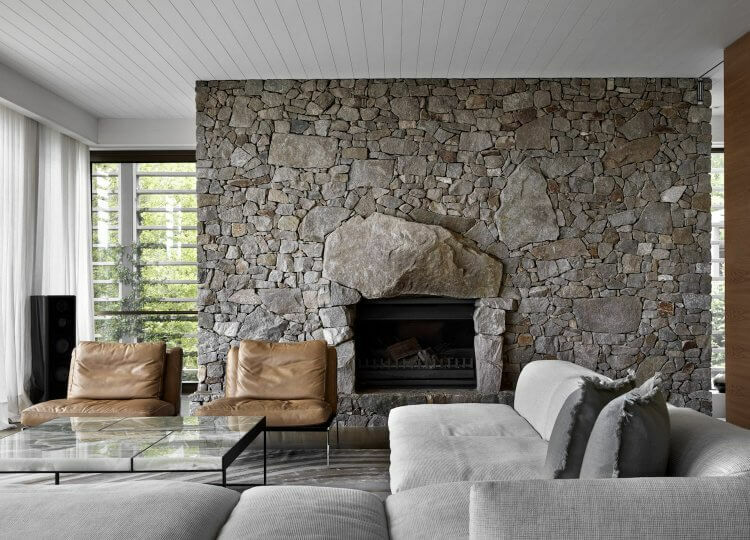 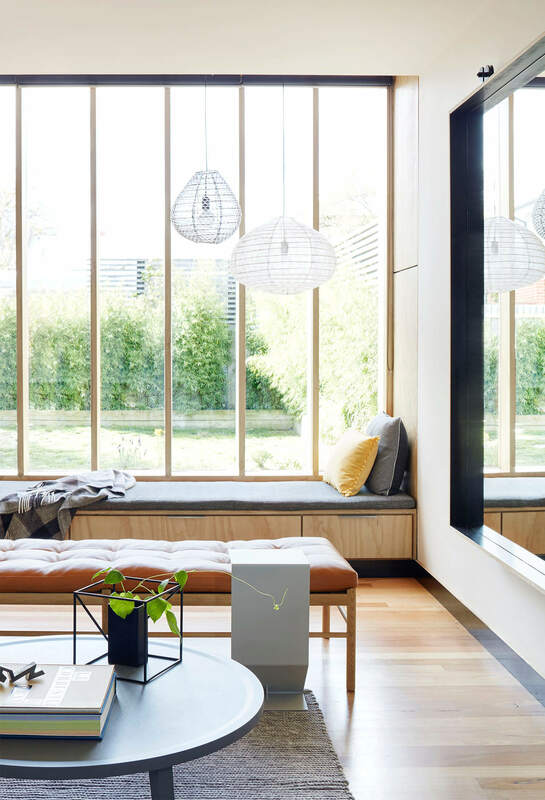 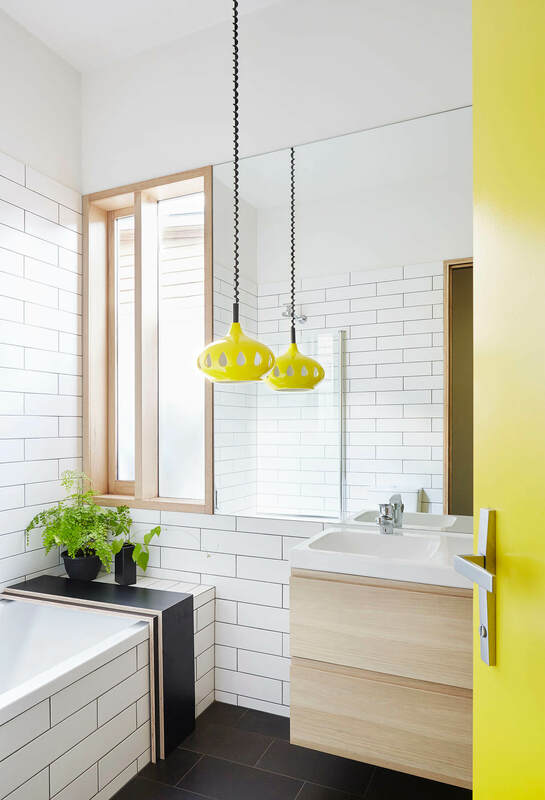 Established in the country town of Ballarat, just a ninety minute drive north west of Melbourne, the design studio of Moloney Architects plays both home and office for Mick and Jules Moloney and their children. 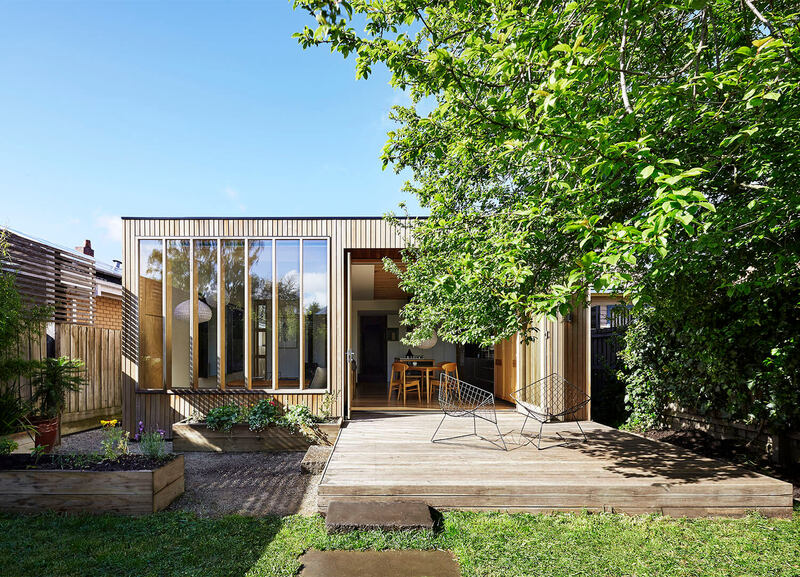 Looking to modernise the original 1910 weatherboard home while retaining some of its inherent character and charm, the architect couple chose to retain the front facade of the old building while at the back of the house creating a wooden box of sorts to allow for an open plan living space more conducive to modern family life. 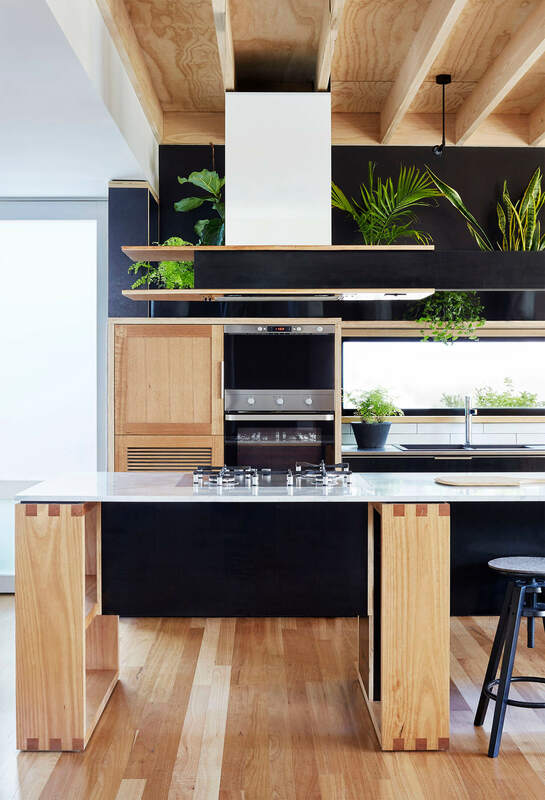 Inspired by a desire for spaciousness as much as economy, the kitchen features an island bench that functions as a work station while at the same time looking like a piece of furniture. 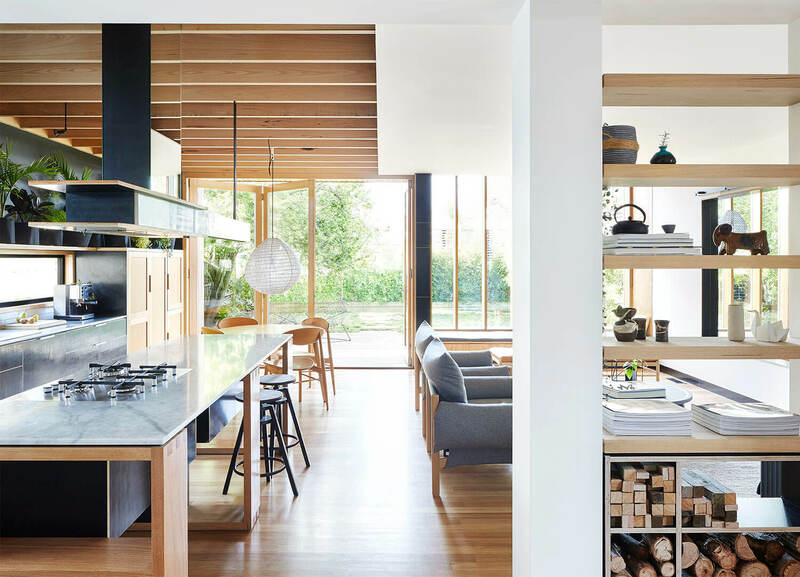 To create a feeling of lightness and space in the open plan kitchen area, the island bench has been designed with an open sided timber frame in order for it to seemingly hover above the floor. 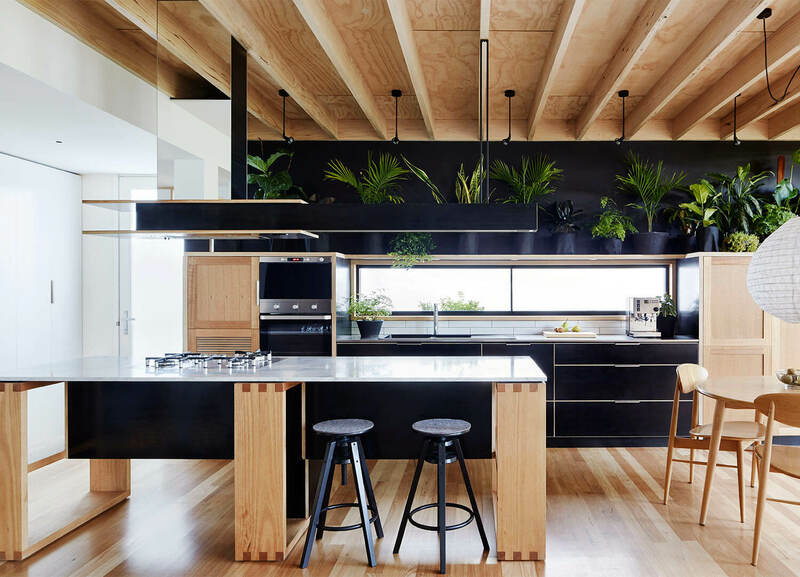 Cost friendly materials such as formply have been used for the kitchen drawer fronts and skirting boards as well the custom pendant lighting above the island bench. 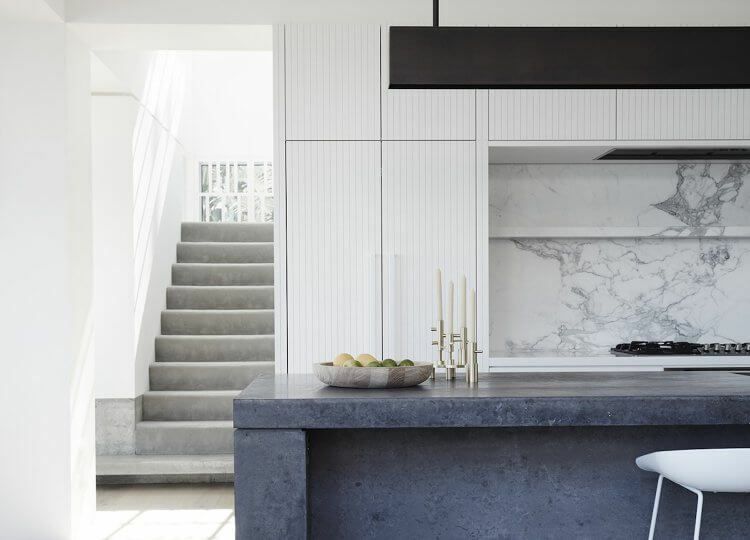 To avoid family meal times becoming a chore for those relegated to the job of cooking and preparing them, the cooktop has been incorporated into the island bench so as to encourage conversation and participation from family and friends. 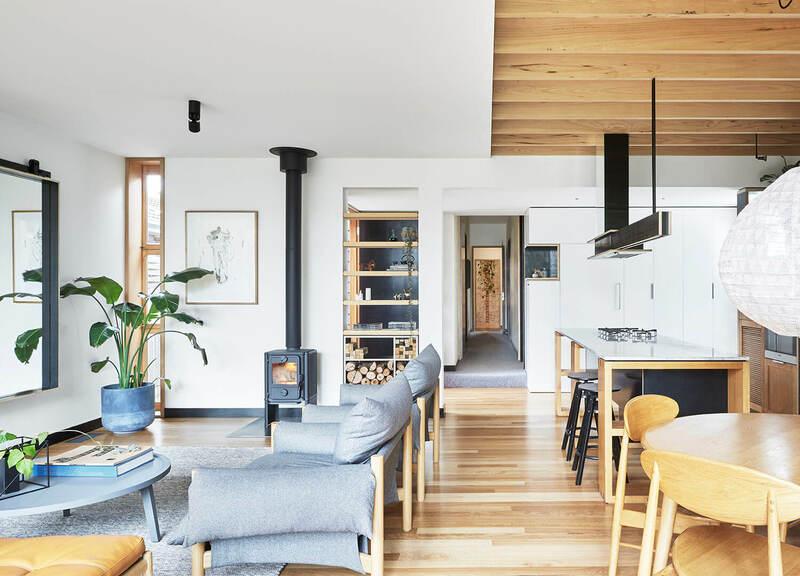 Tasmanian Oak has been used for the windows and exposed beams while the floors are lined in Blackbutt and the exterior cladding in Cedar. 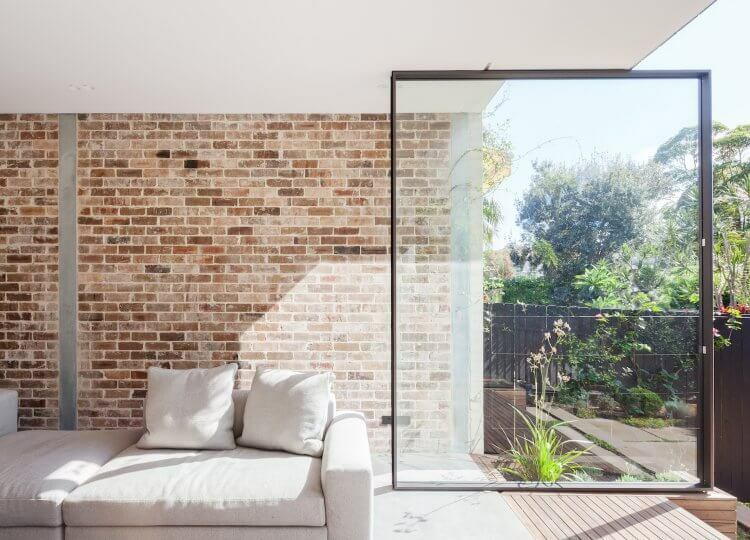 In order to make the most of the north facing block, and to harness some warmth in this notoriously cold climate town, a large oversized window seat was created so family members could gather here to soak in the sun. 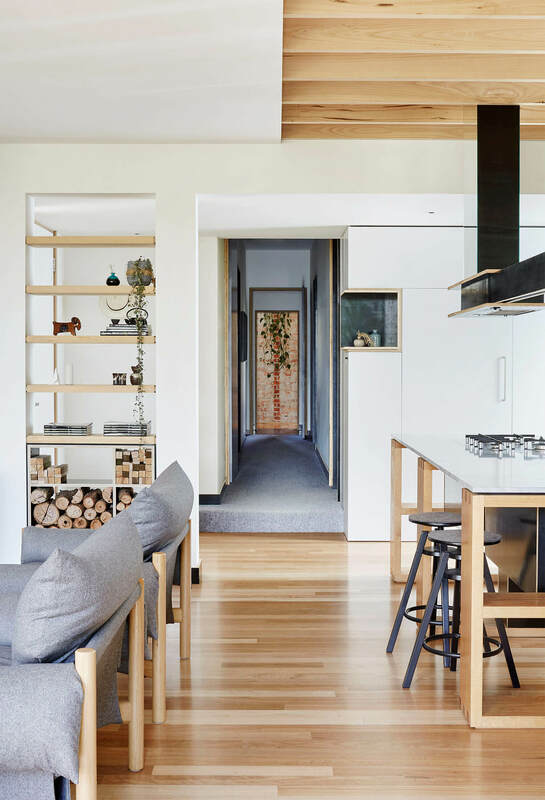 As with most homes filled with children storage space comes at a premium, so here the architect couple made clever use of space by creating drawers beneath the seating in order to store toys.